Epidemiologic studies involving epigenetics have, to date, focused mostly on DNA methylation, though studies investigating other epigenetic measures such as loss-of-imprinting and micro-RNAs are becoming increasingly popular. Analysis of data arising from such studies can be complicated by issues such as multiple comparison or lack of clarity about the goals of analysis. 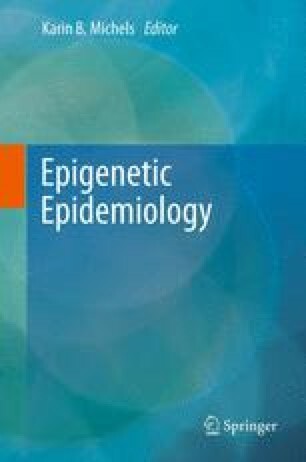 In this chapter, we provide an overview of key considerations in the analysis of such data sets, as well as a review of modern statistical techniques that have been used in the analysis of epigenetic data. We distinguish between exploratory studies and confirmation studies, providing guidance on statistical analysis in each case. In particular, we indicate when the control of familywise error rate or of false discovery rate is to be preferred. We provide an overview of unsupervised and supervised multivariate analysis, guidance on the analysis of microarray data, as well as guidance on study design considerations.